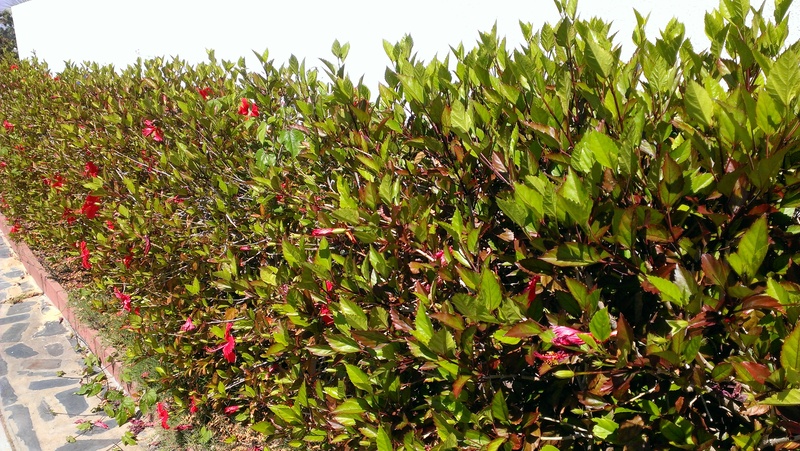 I’ve been collecting for a while now… as flowers finish or petals fall. 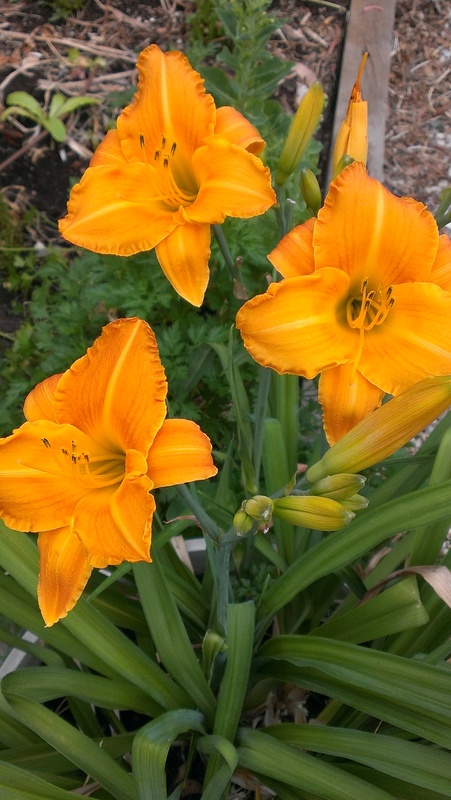 After re-potting, the daylily had a bumper season, flowering for weeks. The maroon pelargonium also did well, and I picked up all the dead flowers as their petals fell. 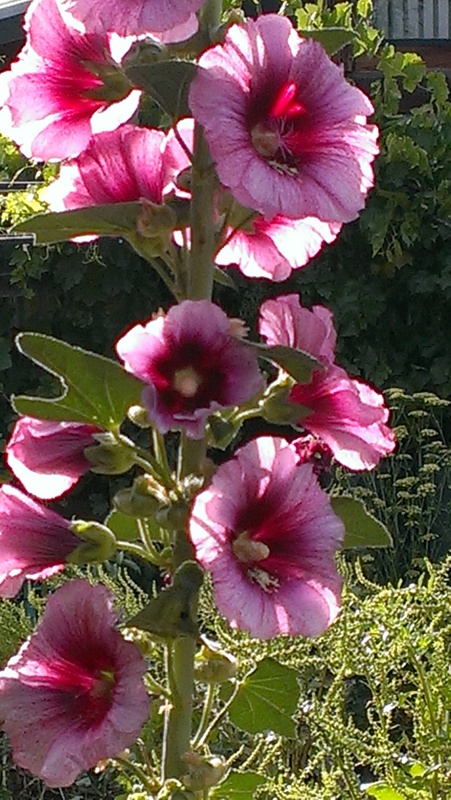 My friends have hollyhocks, some almost black and some a little more pink and purple. 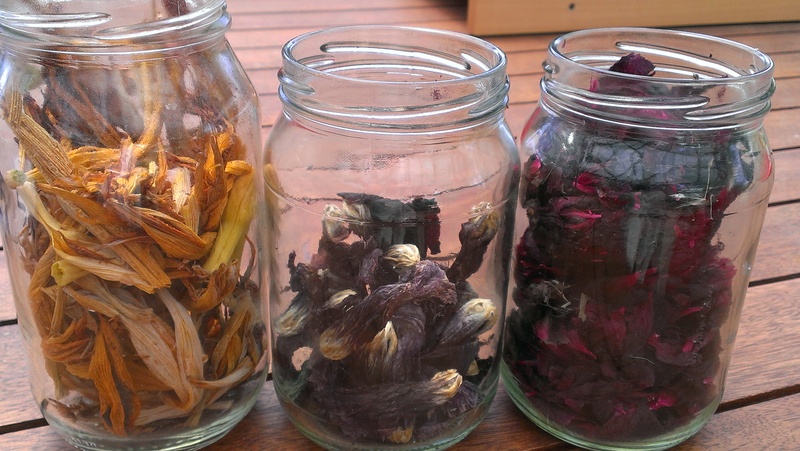 They’re patient or even encouraging when I collect spent blooms… and realise that they will end up being stuffed into jars for steeping and storing following India Flint’s method of preservation dyeing (more or less). This is my new favourite way to dye embroidery thread. I never thought I could be converted to embroidery, no matter how simple. 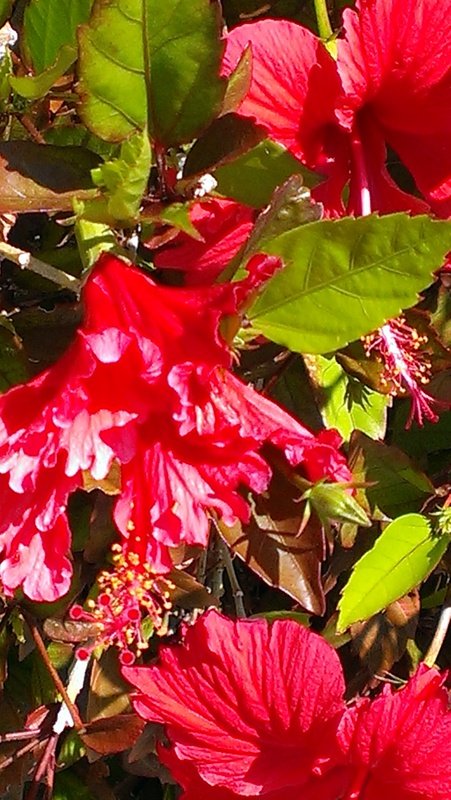 And, it is hibiscus season again. I went along for a ride to West Lakes for others to do open water swimming. The dog and I found an entire hedge of red hibiscus (we’re temporary dog aunties again), and I just happened to have a bag with me. I know–how fortuitous! 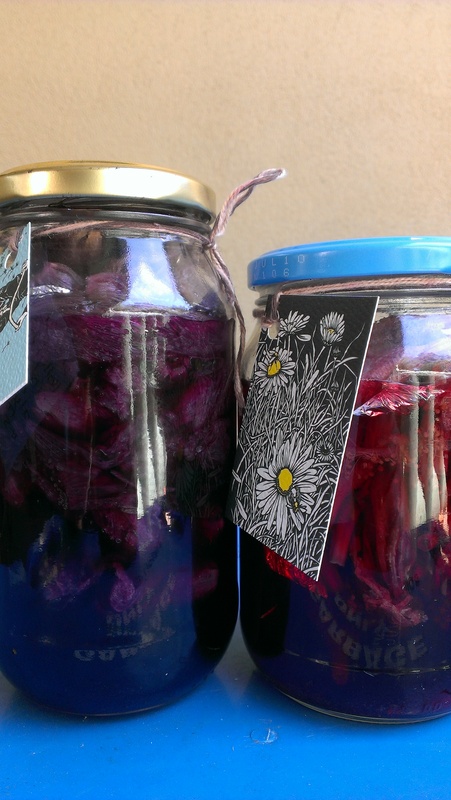 And here is the dye jar result of picking up all those spent flowers. Hollyhocks on the left, hibiscus on the right. The jars that have come to me as a result of Mum having a favourite brand of mayonnaise are all finding good uses despite being a bit too big for jam. these jars of summer’s glory will now sit and steep in all their jewel like colours for about a year. They look good enough to drink/eat…….. Exciting, can’t wait to see the results. and why on earth didn’t I think to do this? 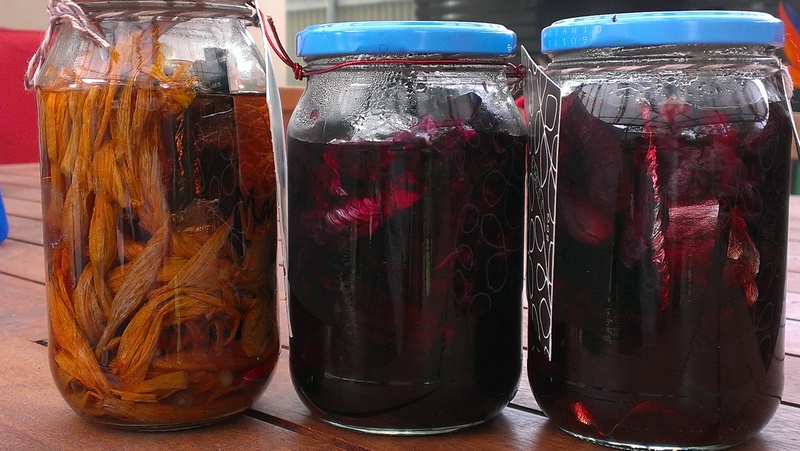 my jars will be ready to open soon. they look rather murky. these look very exciting! Looking forward to seeing yours! I have some coming up a year… Exciting! a year! what patience you have…. Well… to be honest I am a bit patchy on patience! I will have a lot of speedier projects humming alongside these slow ones. And I like looking at the jars doing their slow thing.